With 122 aircraft and a worldwide route network of 112 destinations, Etihad Airways is a major player in global aviation. 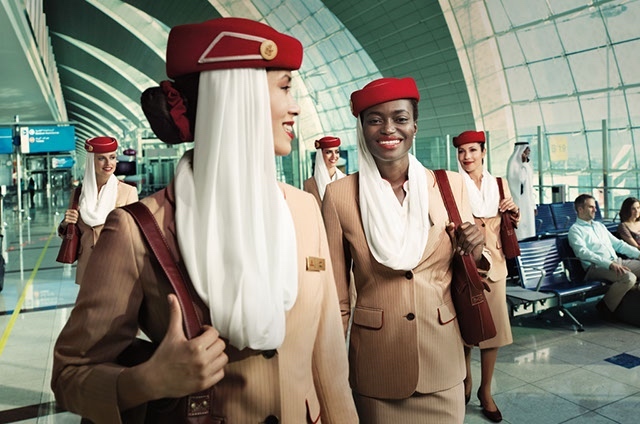 But Etihad is also the smallest of the big three Middle East airlines with just 6,400 Cabin Crew. 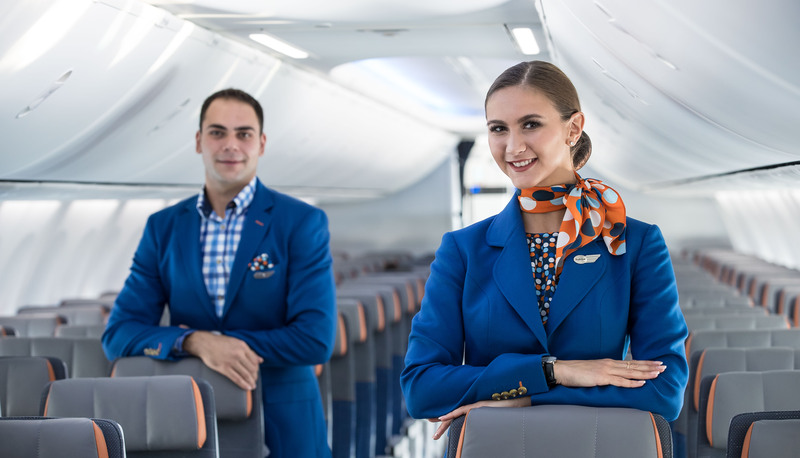 Make no mistake, however, this Abu Dhabi-based airline is just as popular as Emirates and Qatar Airways for aspiring Cabin Crew – the competition is intense for the few positions available. Following significant financial losses, Etihad was forced to halt its recruitment drive in 2017 and many successful candidates were placed “on-hold” for over a year. 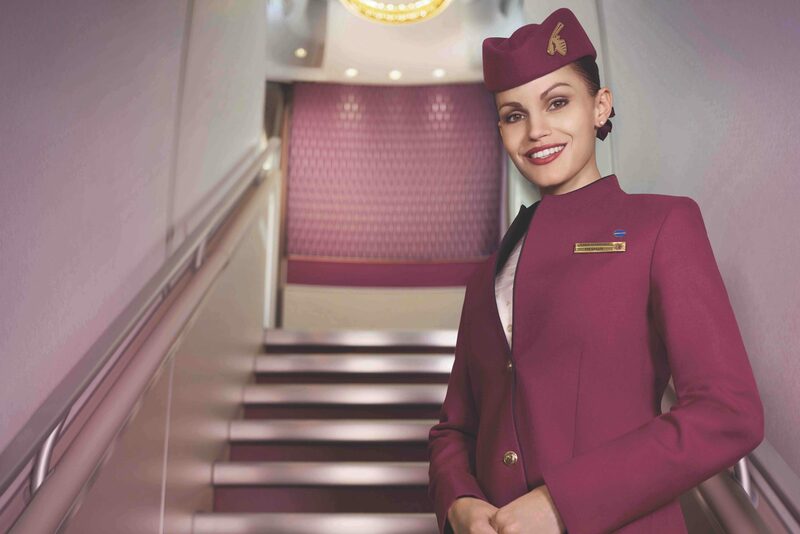 Things, though, are set to change – applications are now being accepted via Etihad’s official recruitment website and a small number of Assessment Day’s have already been held. For the past few years, Etihad encouraged online applications via their official careers website. They did hold some Open Days – but these were few and far between. At the moment, Etihad is now only accepting applications via its official careers website. If you’ve previously applied but were not successful, you won’t be able to submit an application on your old account (this is a reported bug in the Etihad system that has not yet been addressed). Simply delete your account and start over. A short essay on your dream holiday destination. We have written an article about creating your perfect cover letter using a proven formula and an example tailored to the Etihad process: Do You Need a Cover Letter for Your Cabin Crew Application? The full-length photograph should be sized: 6×4 inches (15×10 cm). The passport sized photograph should be sized: 45×35 mm (1.77×1.37 inches). 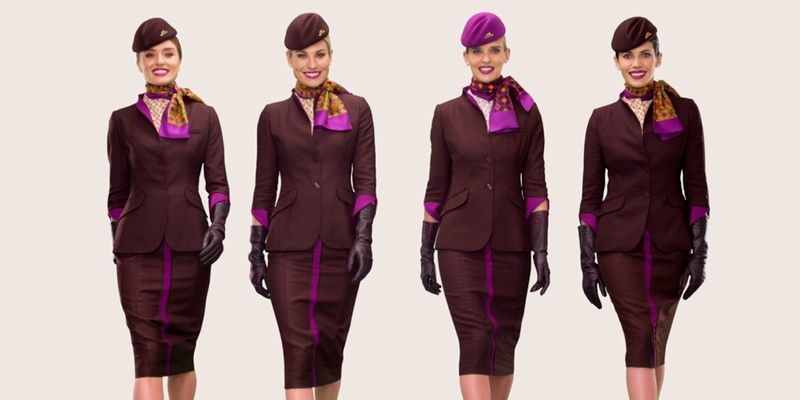 It’s not yet clear how many new cabin crew the airline is looking to recruit. If you have applied but were not successful, you will have to wait six months before reapplying. Once submitted, your application will first be evaluated by a computer to see if you match the requirements of the role. If you successfully pass this stage, a recruiter will review your application and invite you to an Assessment Day. Etihad will still be running Assessment Day’s in cities around the world. You’ll be able to choose a date and location that is most suitable for you. For candidates based in the Middle East, it’s worth noting that Etihad does hold Assessment Day’s in Abu Dhabi. However, if you need to travel to a different country or city, Etihad will not be able to reimburse you for travel costs. One colour full-length photogragh and four colour passport sized photographs (as previously described). One colour copy of any expired/cancelled UAE Visas and Emirates ID cards. The recruiters understand that you might not be able to get employer service letters for the Assessment Day. Simply tell the recruiter on arrival. The Assessment Day is a popular recruitment method used to screen a large number of candidates. The day will be made up of a number of elements used to test your suitability for the role of Cabin Crew. There may be points where candidates are further shortlisted before moving to the next element in the day. The interview will normally last between 25-40 minutes. We expect, future Final Interview’s to be held on the same day as the Assessment Day. However, in the past the interview has sometimes been scheduled for the next day or a mutually agreed later date. The interview will be made up of competency and behavioural based questions. You’ll need to have examples from your previous work experience that prove you possess the skills, qualities and competencies that the Etihad recruiter is looking for. It may take some time before you hear back from Etihad after your Final Interview. However, in the past, some candidates have received feedback in as little as two weeks. You’ll be notified of the result by email. You’ll need to submit a medical report from your doctor based on a questionnaire supplied by Etihad. You only need to do this once you’ve received the ‘Success email’. This is a more in-depth report than the questionnaire you complete before your Assessment Day. Cabin Crew medical standards are governed by the General Civil Aviation Authority (GCAA) in the UAE. However, the minimum medical requirements required for Etihad Cabin Crew surpass that of the GCAA. If your medical results are satisfactory you’ll receive final confirmation from the Etihad recruitment team. You’ll receive further information about your date of joining (DOJ), travel arrangements and allocated accommodation. Etihad will also provide workbooks that they expect you to complete before attending Training School. These are designed to ensure everyone starts training with a good base knowledge. is there available in the Philippines for interview? Thanks for the question. We still don’t know whether Etihad will be visiting the Phillippines anytime soon. The recruitment team have advertised just three Assessment Day’s (London, Casablanca and Johannesburg) – it’s a great start but there’s still some way to go. You’ll have to submit an application online so you’ll need t decide whether to apply now or hold on to see what happens in the coming months. Please is there a chance for nigerians ? Hello there, this is a really good question but one that is difficult to answer. There are some Nigerians working at Etihad but the numbers are low. Unfortunately, because of the current recruitment situation at the airline, it is making the situation very difficult for people who represent many different nationalities. We’re still trying to find out more about what is happening with the current recruitment campaign so watch this space! What about Etihad having an assessment day in India? Hello there. Unfortunately, it’s not looking very promising at the moment. As you are probably aware, Etihad cancelled four Assessment Day’s that they had planned in August. There’s no indication when those AD’s will be rescheduled. It could be some time before an AD is held in India but we’ll be keeping a close eye on developments and will post any updates as soon as we hear them. I hope this is of some help. Thanks a lot. Just wanted to confirm one more thing, i.e. Does Etihad Hire Indian Nationals as Cabin Crew? No worries at all. Yes, Etihad does hire Indian nationals as cabin crew – India is a really important market for Etihad (in fact, it’s the airline’s biggest market). It’s important for Etihad to employ cabin crew who represent their passengers and truly understand their needs. We anticipate Etihad to continue employment Indian cabin crew in the future. Are they gonna be holding an assessment day in London? Etihad has announced that there will be no cabin crew recruitment for the remainder of 2017. We will have to wait until recruitment restarts to know where the Assessment Day’s will be held – however, we’d be extremely surprised if London wasn’t one of the initial locations. could you please clarify for me if Etihad does or does not recruit brazilians any more since they took Sao Paulo flights out of their routes in march2016? This is a really good question! There are Brazilian cabin crew at Etihad but the point you make is one certainly to be looked into. Unfortunately, it’s very difficult to know at the moment as Etihad isn’t recruiting anyone until next year. When Etihad did advertise (and then cancel) several Assessment Day’s earlier this year, there were none planned for Brazil. Unfortunately, we wouldn’t expect a South American AD to be a priority for Etihad but this is certainly something we’ll look into. I don’t want my application to expire, so, what is exactly my alternative to wait here? Do I just have to wait for them to tell me there is an assessment day in the cities I selected? Or how do I know if there is one in another part of Europe that I can go? I haven’t found any assessment days for 2018, so… when would I be able to know about them and in which website? Are there going to be Assessment days on 2018 for sure?? Thanks for your help! This article has been very useful! Congratulations! That’s great news! Unfortunately, you will have to wait until Etihad advertise new Assessment Days. In the past, Etihad advertised all available AD’s on their recruitment website and you could email the recruitment team to attend the AD of your choice (dependent on availability). We don’t know, however, whether this might change when recruitment restarts. The latest information we have is that Etihad will restart recruitment in 2018. There’s still speculation when it will restart next year with some sources saying it will be in the first few months and others saying that it will be pushed back. It must be an incredibly frustrating position to be for you but I would suggest you keep a close eye on the Etihad recruitment website for advertised AD’s. We’ll also post any updates on our website. So I applied two days ago and the website said please attach a “full length photo” and “passport copy” I attached a full length photograph and a copy of my passport page as I assumed that’s what they meant,can anyone clarify? This is something in the Etihad application process that is really ambiguous. We’ve used both passport page copies and passport style photos in test applications – both were successful. However, we suggest using a passport style photo. Yes! Absolutely – did you have any luck with your online application? I’ve applied online few days ago and I still didn’t receive any of answers from them yet. Not even rejection email or positive one. Unfortunately, we haven’t received any information about what nationalities Etihad is targeting at the moment. As you are no doubt aware, the needs of Middle East airlines can frequently change. We know both Etihad and Emirates did reduce the number of Filipino’s recruited in the last couple of years but we remain hopeful this will change. Is there any chance for Tanzanian ? It’s actually very rare for Etihad to visit Tanzania but that’s not to say you wouldn’t be successful at all. You have to submit an online application and if shortlisted you can choose to attend an Assessment Day in a city of your choosing. However, at the moment Etihad don’t have any AD’s scheduled and unfortunately, we don’t know when they plan to organise anymore. We would suggest submitting your application online once you are ready so that if you are shortlisted you can considered for an AD as soon as the next one is arranged. i applied for the cabin crew position a month ago but my submission was unsuccessful. i have 3 years experience as a cabin crew in Ethiopian airlines. i submitted the application 15days before the unannounced assessment day on etihad official website. But i e-mailed to the recruitment office and they respond i am more than welcome to resubmit after 6 months. By the point of which you applied for the role, unfortunately, the two Open Day’s were already full – at which point, getting shortlisted for a future Assessment Day does become very hard. This may still be an ATS issue so it is definitely worth reassessing your resume. I’m really sorry to hear you weren’t shortlisted on this occasion. It is such a frustrating experience – we speak from experience and sometimes there really is no logical answer. Keep on improving, keep on working and keep on applying!